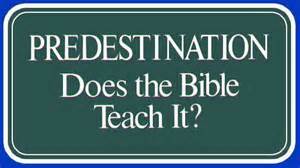 Predestination and the Foreknowledge of God is an important Bible subject. Benjamin Franklin explains this Bible doctrine in simple and unmistakable terms in his Sermon #11 from “The Gospel Preacher Vol. 1” published in 1869.